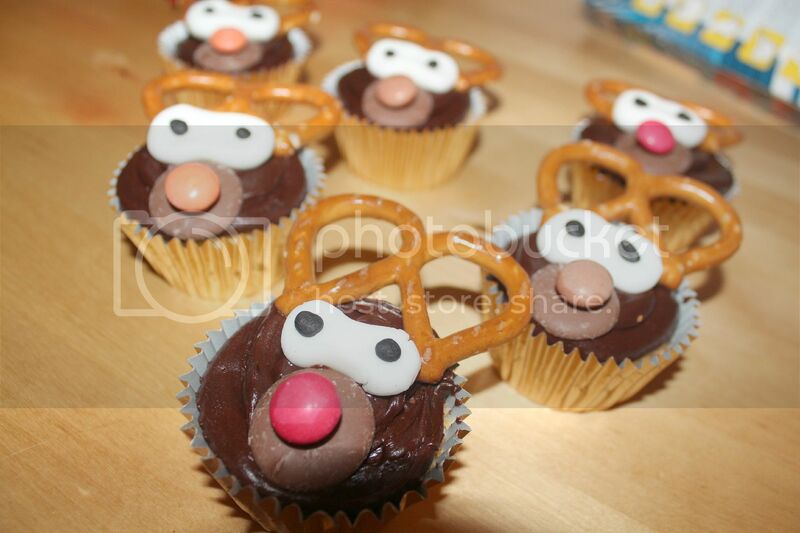 These reindeer cupcakes are easy to make and perfect to get the kids baking this festive season. I have gone totally reindeer mad this Christmas. 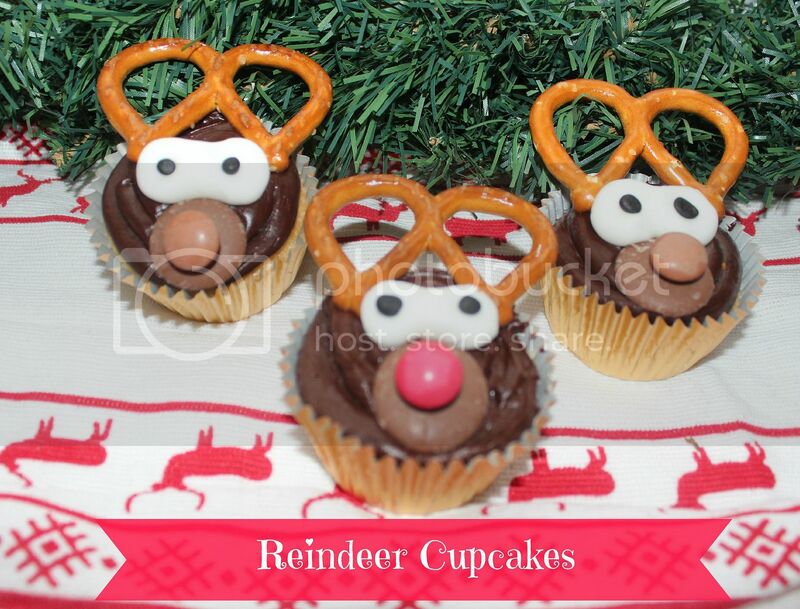 You can see my Rudolph cake pops here, and now I've gone into reindeer cupcakes too. 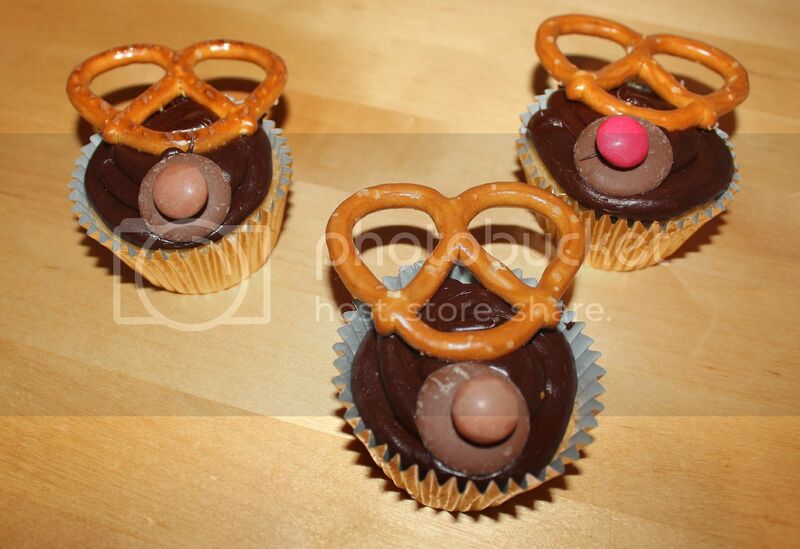 I could only get hold of giant pretzels so used these but two smaller pretzels would look great too. Start by making some standard cupcakes. 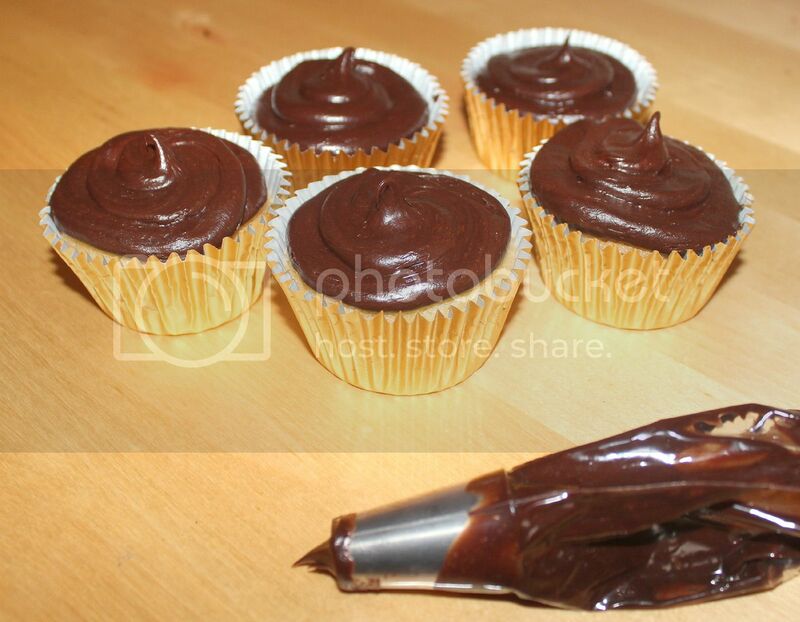 I then used the LVCC nozzle #1A to pipe some Betty Crockers chocolate fudge frosting onto the cakes. You could just spread it on with a knife if you haven't got any piping tools. 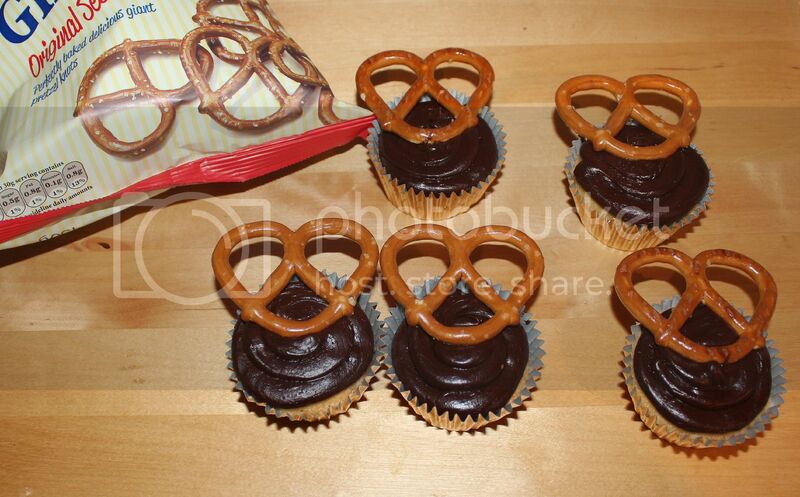 I then placed a giant pretzel half way down the cupcake. I then stuck a giant chocolate button towards the bottom and placed a smartie on top. Lastly I used fondant icing in white and black to make the reindeer eyes. I've been getting all festive with my cakes this year, so if you want to see how to make snowflake cupcakes, reindeer cake pops, Christmas pudding cake pops or a snow globe cake, just click on the links.